There is something indescribably "spring" about a tea party. Perhaps it is the way the warmth of tea staves off the lingering chill of winter. Perhaps it is the tendency to top sweet morsels with pastel colors that evoke the lightness of flowers. Either way, I have had tea and tea treats on the brain in a major way. The decision to focus on tea for the month of May lead me to a number of fortunate and fun adventures. I learned how to make madeleines and biscotti for the first time ever. I also ventured bravely into the domain of the souffle. I made old fashioned irish scones with raisins and spice, which so inspired me that I turned around and made a savory thyme scone adaptation. Many of those recipes will appear here as soon as I can find the dang cord that connects my camera to the computer! Sinead of airy fairy cupcakes baked up some inspired calming camomile cupcakes. These delightful little cupcakes actually have twice the camomile goodness, because she both infuses the warm milk with tea and includes tea leaves themselves in the batter. yum! If I were giving awards for originality, that award would definitely have to go to diva of The Sugar Bar who created Chameshi with Almonds (or Green Tea Rice). Cooking savory dishes infused with tea is a hot culinary trend that is still on the rise. As this gorgeous photo demonstrates, diva is definitely a foodie fashionista. 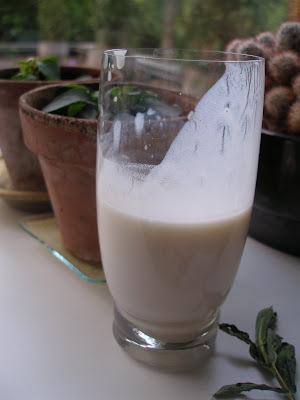 Evelin of Bounteous bites shares with us her recipe for her favourite ice tea smoothie. This mix of tangy yogurt and strong brewed tea is sure to quench your springtime thirst (and be gentle on your waistline). Mansi Desai from Fun and Food sent in the scrumptious Vanilla Tea Cupcakes. 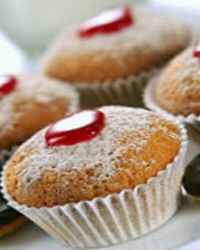 The light vanilla taste of these tasty baked treats gets a little kick from a dollop of fruity jam on top. Sounds like the perfect thing to go with a steamy cup of Earl Grey. 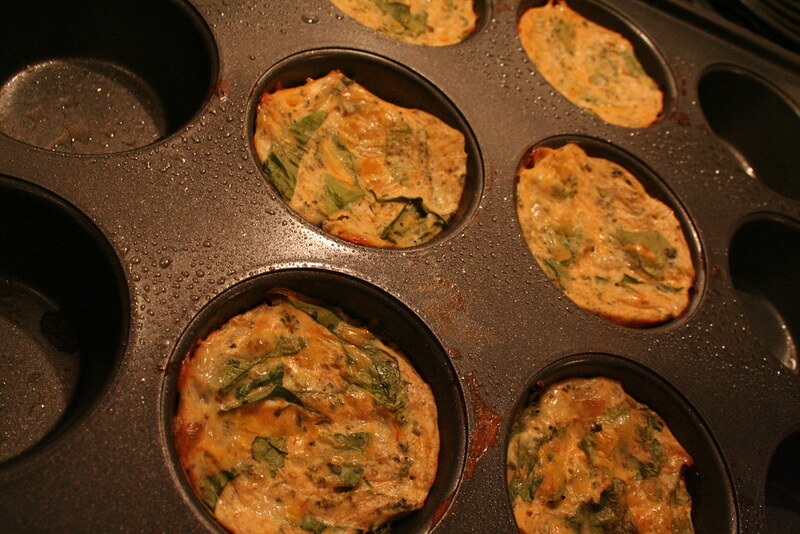 Betherann from Muffin Love whipped up some delectable Mmmmini Spinach Frittatas which, true to the blog's title, are made in muffin tins. A tasty and moderately sized treat for an afternoon lunch or hearty tea-time. 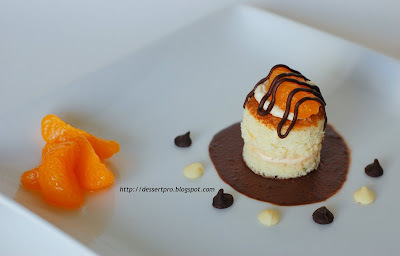 JZ @ Tasty treats whips up Petite Orange Cakes with Orange-Cream Cheese frosting. Little cakes? Orange cream frosting? Sign me up. 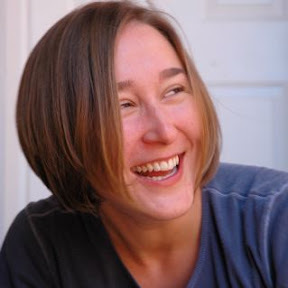 This relatively new blogger (just started in February of this year!) really came out of the gate with a wonderful, professional, and full variety of tasty recipes. 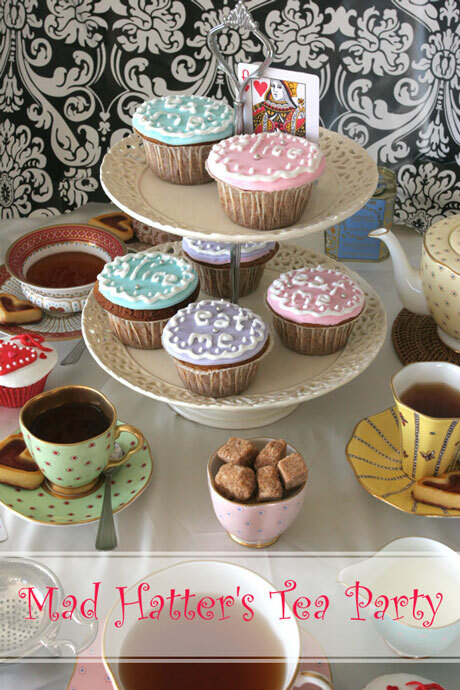 Lorraine Elliott, who writes the fabulous blog Not Quite Nigella gives us "vanilla cupcakes filled with strawberry jam and cream, pastel fondant icing, royal icing writing and patterns and silver cachous" all inspired by Alice in Wonderland Mad Hatter's Tea Party. This entry wins honors from me for really getting into that tea party spirit! These elegant little cupcakes are sure to delight whoever you bake them for. makes sesame cookies for Is it Tea Time?. Her sesame cookies have a touch of cognac and orange juice for an unexpected little added bit of brightness. But in addition to feeding your belly, she feeds your mind: she recounts a detailed history of how tea came to be a luxury good in the wake after Ottoman occupation of Greece. Of tea, sweet snacks and preserved fruits - tea drinking in Taiwan. I don't want to give too much of the story away, but I will say that I was surprised to see preserved kumquats on the menu, as I had never even heard of kumquats being preserved. They look delicious though and I'm sure the citrus bite of kumquat, mellowed when preserved, is a great side to steamy tea. i love everything i see here. thanks for holding the virtual tea party!! it was fun. :)really want some tea cakes and side biscuits to go with a good brew now. wow! the round-up looks wonderful...such an array of goodies and all wonderfully themed to go with a steaming cup of tea...i'm off to put on the kettle! What a great lil roundup..loved going through all of the posts.. and thanks a lot erin for ur efforts! especially for the lovely comment about me..loved taking part in the round-up, invite me over for the next one! Thanks ladies! Glad you liked the review. You are some really talented foodies, so it was a pleasure.